By: Brierley Wright, M.S., R.D. | July/August 2011 | Got Calcium? 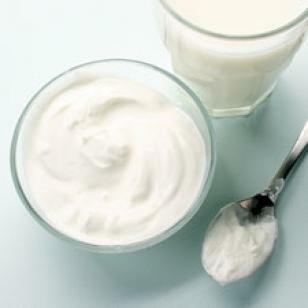 New research on menopause and calcium supplements. Many women are advised to take a calcium supplement for healthy bones—especially after menopause (when decreasing estrogen levels accelerate bone loss). In fact, the majority of American women over 31 take calcium supplements, says a 2010 study in The Journal of Nutrition. But new research, published online in the British Medical Journal, might have you second-guessing a supplement. Scientists reported that postmenopausal women who took calcium supplements increased their risk of heart attack by 25 to 30 percent and stroke by 15 to 20 percent. Calcium supplements—unlike calcium-rich foods, such as milk—increase blood calcium levels for a few hours after they’re taken, says Ian Reid, M.D., the study’s lead author. This bump may raise risk of heart disease—possibly because the calcium is deposited in the walls of the arteries, making them less pliable. Other experts think women’s supplement habits shouldn’t change, in part because there’s research to show calcium may help the heart. “Postmenopausal women given calcium supplements had a slightly lower risk of stroke and heart disease,” says Robert Heaney, M.D., professor of medicine at Creighton University and an internationally recognized calcium expert, citing a study he and colleagues conducted. Bottom line: Before you start—or stop—taking calcium supplements, speak with your doctor. Women aged 19 to 50 need 1,000 mg per day; for women 51+ it’s 1,200 mg daily. It’s possible to meet these recommendations through food—if you choose wisely. Dairy products are good choices (choose nonfat or low-fat to limit saturated fat), as are kale and collards.